Keyhole's mission is to measure and illustrate the social impacts of trends and brands. 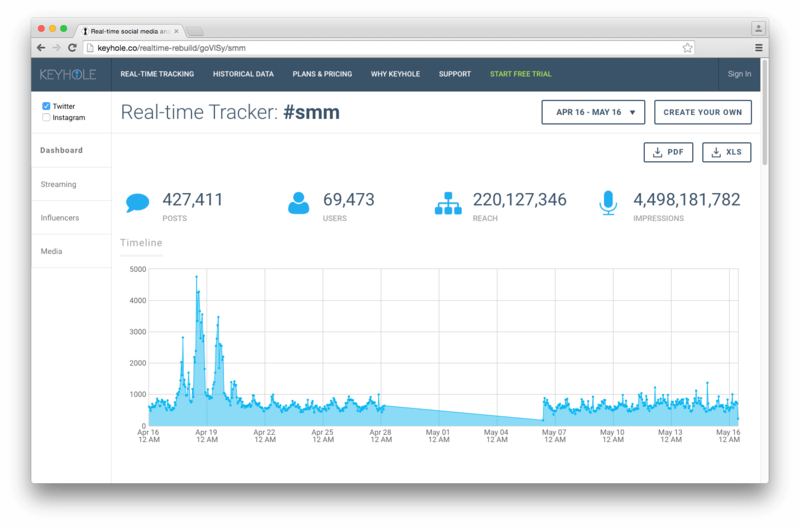 Used by firms, marketers and journalists across the globe to share and analyze data, Keyhole tracks metrics surrounding hashtags, keywords, engagement and influencers on Twitter and Instagram in real-time. 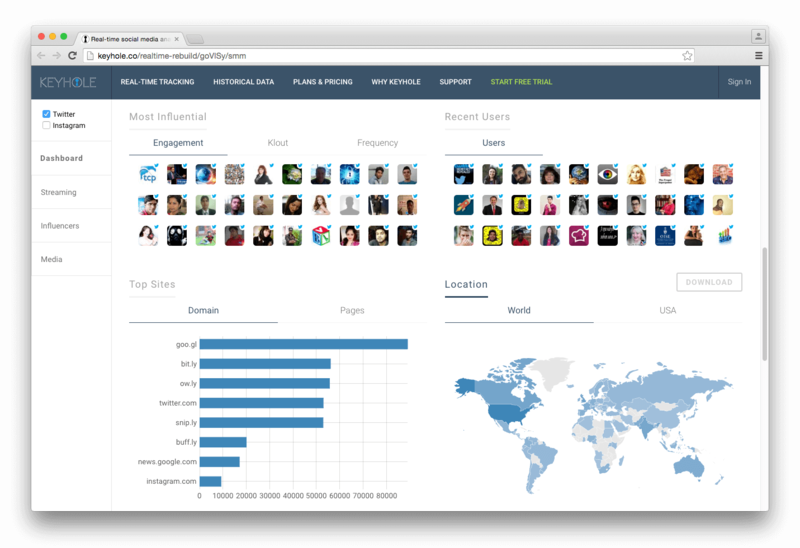 Keyhole brings clarity to social media metrics by delivering actionable, easy-to-understand data to brands, journalists and marketers. 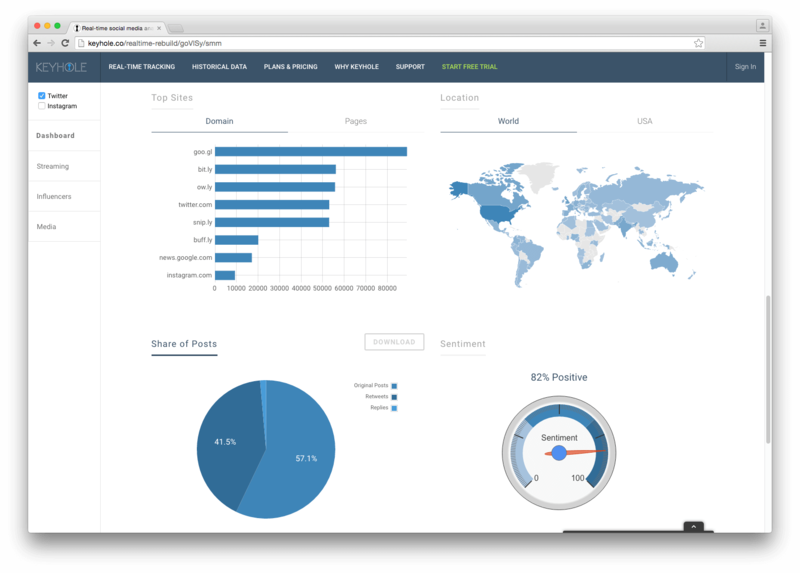 Through a real-time dashboard that measures the social impacts of trends and influencers, users can focus on executing, optimizing and reporting campaigns instead of compiling metrics such as user engagement. With a background in project management and financial consulting, he was fascinated by Twitter's explosive growth in 2009. Knowing that users would want to capitalize on this growth, he co-founded Keyhole's parent company Assetize, a marketplace to buy and sell Twitter accounts. People loved it. Twitter didn't. Keyhole's founding in 2013 came as a pivot from Assetize's first social media analytics platform, SharedBy. Though still functional, Ajani recognized that it was too difficult to monetize. By focusing his efforts on Keyhole, he secured thousands of businesses across the globe - from Fortune 500 companies such as Verizon and Amazon to fast-growing startups such as Uber - as clients that rely on the tool every day. Raised in Toronto, he earned his Bachelor of Math degree in Computer Science at the University of Waterloo. He then completed his Master of Business Administration degree at Cornell University, specializing in entrepreneurship and strategy. A software developer by trade, he began his career in the early-2000s. 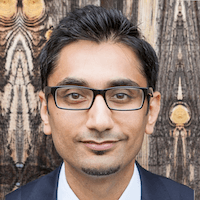 Before social media platforms such as Twitter and Instagram were born, he and business partner Saif Ajani experimented with several startup ideas. But when social media rapidly grew in popularity, they had an idea they knew would stick. He co-founded Keyhole's parent company Assetize, a marketplace to buy and sell Twitter accounts, in 2009. Twitter wasn't thrilled with the startup's success, but Assetize would go on to develop Keyhole in 2013. 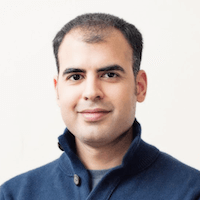 Today, Abdulla leads Keyhole's continuous development, building it into tool used by journalists, startups, marketing agencies and Fortune 500 companies around the world. Interested in using Keyhole data for a story?